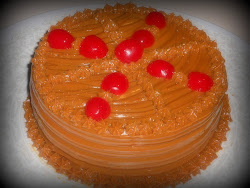 Our famous orange cake filled and covered with dulce de leche. 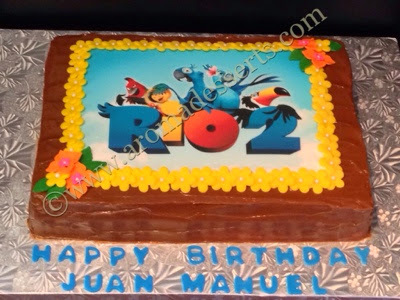 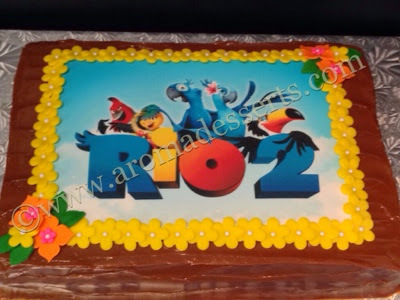 Rio image is an edible print on fondant, 100% edible. 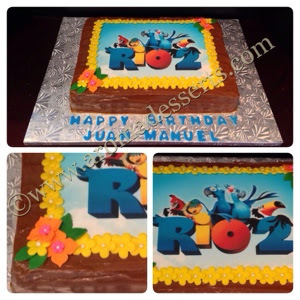 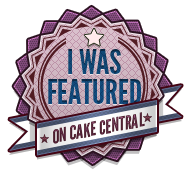 Flowers were made of fondant too.